We provide an all-inclusive approach to legal services for our clients, encompassing family, estates, property and business advice throughout Newcastle and the Hunter. Time and time again, decisions in one area of law impact on another. Expert personal and commercial legal advice. Advantage Review keeps you updated with legal news. Today’s Partners have been a part of Baker Love for up to five decades and head a team of energetic and expert young professionals practicing across a range of areas of law. Our team will guide you and keep you updated at every turn. We are listening and here to help you with your legal challenges. 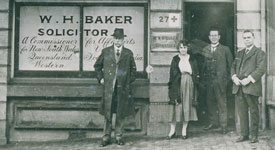 Founded in 1875, Newcastle law firm Baker Love Lawyers is proud of its record as one of the Hunter Region’s oldest and most trusted law firms. 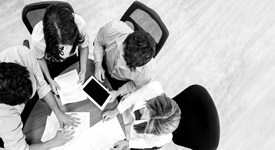 Whether you require help navigating a divorce, want to contest a will or need property and conveyancing advice, Baker Love are your team of legal experts in personal and business law. Read about the latest legal developments on bail, the police, court procedures and charges that may affect your matter, and how we can help you. We can assist you with a deceased estate, if have been left out of a will, or need to update your estate planning documents including Enduring Guardianship, Will and Power of Attorney. Buying or selling a house, landlord or tenant, property investor or developer, our team makes it our business to understand your property goals and help you achieve them. 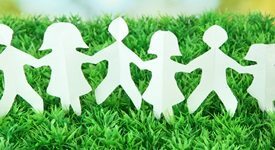 Your divorce or child custody matter is handled with complete confidence, compassion and understanding by our team, headed by an Accredited Family Law Specialist. Support and legal advice when you need it the most. Baker Love believes in providing an all-inclusive approach to legal services for its clients, encompassing family, estates, property and business advice. Time and time again, decisions in one area of law impact on another. Baker Love works with its clients through every stage. Is my will still valid and when do I need to update it? Are supression orders antiquated in the digital age?